Here’s something you don’t see too often in Turkey – a DIY tile project! Labor is relatively cheap here, so most simply hire someone. I say “relatively” because prices of everything seem to be on the rise . . . everything but salary. The tile project is not quite done. We came across a lot of “issues.” But I would say my hubby is doing a darn good job of working his way around them! Laying your own tiles is more common than you think. All ours are “husband-laid” as are those of our friends. Anyone who values a straight line usually ends up doing it themselves. That’s really interesting. In Ankara, it was hard to even find anyone who knew a tile guy. We did lots of tiling back in the States. But this was more difficult. Our home is a rental, so we tiled over the old tile. We didn’t find any products here for that purpose like we have back home. So the walls were uneven which caused a lot of hassle. I have not found a product here to seal the grout either. Have you? No. Grout sealer unfortunately. 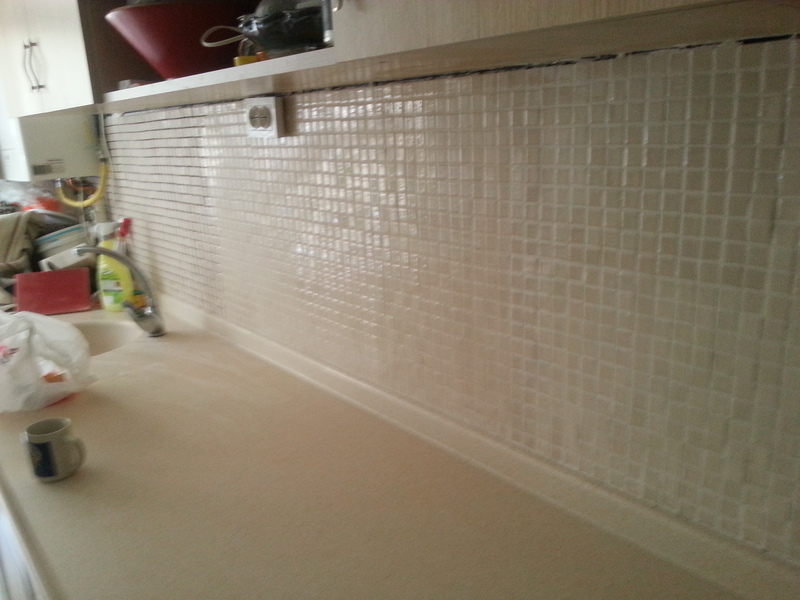 We use a grout cleaning spray every six months to keep the grout white. We also retiled our whole bathroom over old tiles with good results. The prospect of chipping the old tiles off was too much to bear and walls underneath wouldn’t have been any straighter anyway. Worth the feeling in your fingertip? Looks great!